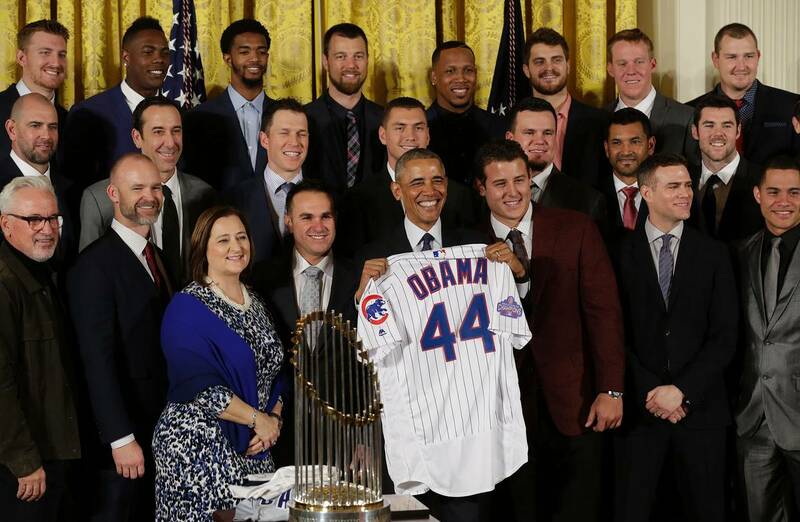 On January 16, 2017, the Chicago Cubs were the 86th and last championship or elite sport team to visit the Obama White House. Photo from the Wall Street Journal. President Obama knows the importance of sports in American culture. After all, he’s married to a Princeton University sociology major. This was evident on Martin Luther King Jr. Day (January 16th) when the Chicago Cubs were the 86th and last championship or elite sport team to visit the Obama White House. The headlines and articles about Obama’s comments focused on “the power of sport to create unity” even though the president was using the occasion to highlight a seventy year process of acknowledging that diversity is inherent and valuable in the human experience. When he mentioned that sports can change hearts, he was referring to beliefs about race and ethnicity and inferred nothing about the challenge of changing how a city is organized, who is advantaged or disadvantaged by that organization, and who has power to make changes. Obama knew that the collective euphoria and emotional unity occasionally generated by sports fades quickly and only rarely bridges the real differences created by inequality and the dynamics of everyday power relations. To explain this point, it is useful to distinguish between relationships that bring together socially and economically similar people versus those that bring together people who are socially and economically dissimilar. The former can be described as horizontal bonding and the latter as vertical bonding. The emotional unity created by the long awaited Cubs’ championship season certainly created shared relief and euphoria, and undoubtedly reaffirmed or facilitated horizontal bonding among Chicagoans, but there is little evidence that it facilitated vertical bonds that could be effectively used to bridge structural divides in the city. But it is vertical bonding that is needed to create policies and programs that might erode the racial and ethnic segregation and the oppressive inequalities at the heart of many problems in Chicago (to read more, see Lewandowski, 2008). In sociological terms, sport talk, whether it annually commiserated the Cubs’ 108 year string of not winning a World Series, or celebrated the win in 2016, stops short of discussing serious social issues in the city. It creates a veneer of togetherness that feels good for a time, especially for long suffering fans, until the reality of everyday life intervenes. It does not automatically lead to civic engagement focused on the deep social and economic problems that currently plague Chicago, nor does it automatically create bonds bridging the social divides created by those problems. But this still leaves an important question unanswered: Can the emotional unity generated by sports be used to strategically create social relationships through which structural problems are identified and met with policies and programs that produce positive changes? Research is needed to answer this question. However, in his recent book, The Turbulent World of Middle East Soccer, journalist James Dorsey provides examples from Egypt, Algeria, Syria, and other countries of fans using sport-based emotional unity to form and sustain relationships focused on social and political issues. These examples are not always positive, but they provide sites for exploring the strategies that might be used to convert the unity associated with sports into relationships and actions that go beyond changing hearts and directly confront the inequalities and injustices that undermine social foundations of democracy. As he left office, Obama made the case that the physical, social, and cultural differences that are so often complimentary on sport teams can serve as a model for what America can be. But to turn that model into a reality in connection with the emotional unity created by sports is a challenge far from being met in the United States. Jay Coakley is Professor Emeritus of Sociology at the University of Colorado at Colorado Springs. He is an internationally respected scholar and author of Sports in Society: Issues and Controversies (McGraw-Hill, 2017, 12th edition).